We have not confirmed the exact details on distribution of the pins, but we've heard that select stores will be distributing the free of charge while supplies last on select days. Also unclear is how broad the distribution will be: Apple has a total of six retail stores inside the M25 motorway encircling London, with several others just outside and a total of 33 in the United Kingdom. Wow. That's not tacky at all. As an Irish person, I have always found the British tendency to stick the Union Flag absolutely everywhere extremely crass and imperialistic. As a British person I can safely say that I've not seen a Union Jack hung anywhere in my city for ages...and its a big city. It's nowhere near as bad (not sure thats the correct way of putting it) as in the US, where its seemingly common to have a flag hanging on the front of your house. Pampers are selling Special Edition nappies with the Union flag on them, "to support Team GB in the Olympics". I'm not sure how what my daughter does in her nappies constitutes support for the team, but then I'm not in marketing. I think you win the award for most pathetic comment of the year. The Queen would not approve! As an Irish person, I have no problem with it. 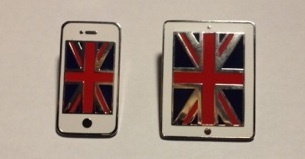 As someone else said, they don't have Union Jack's everywhere all the time. It's just on special days. We do the same on Saint Patrick's Day and other special occasions. Nowt wrong with a bit of national pride. I don't think some realise it's different to how it was 30 years ago. 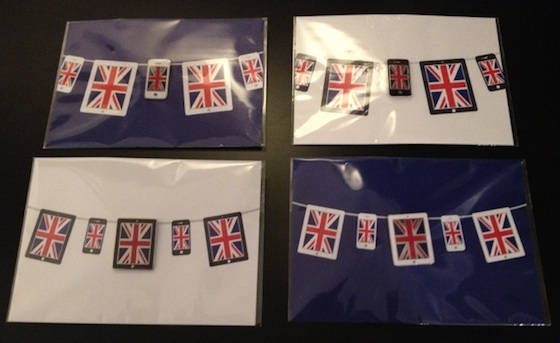 We break out the Union Flag now for the right reasons, basically to celebrate or to party. But you know, if people want to see it as it was that's their issue to work through, not ours. I doubt it will last into next year.